When Bluetooth headphones were a new thing, no one would suggest you those phones if you wanted real quality audio. The noise that crept in when using a wireless device made them a poor choice when you had to use them for long like for a movie or multiple music tracks. However, we have come a long way since then and now you can buy some premier Bluetooth headsets which rival their wired cousins. Let's look at the top 5 wireless Bluetooth headsets that you can easily buy online in India. 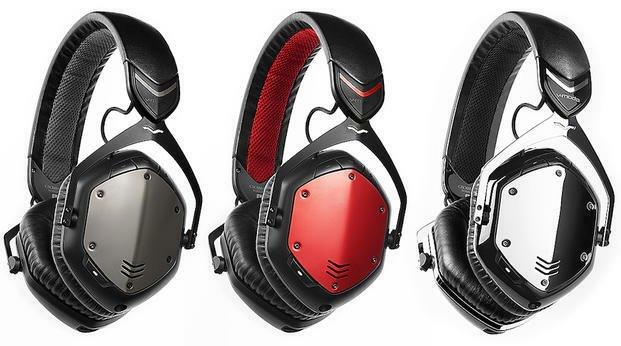 V-MODE are a premium headphones manufacturers whose headphones find themselves on the heads of professional studio artists, sound technicians, and Disk Jockeys. The look of the headphones is not the traditional circle is, therefore, stands out anywhere. The color options are White Silver, Gunmetal Black, Phantom Chrome, and Rogue Red. From the looks of it, all the colors look nice but we will be reviewing the Gunmetal Black version today. The build quality is military grade and you would require a tank to damage it beyond repair. The right earcup has the micro-USB slot for charging while the left one has the 3.5mm audio jack to convert the headphones into 0 latency headphones when you want the best performance. On the left cap are also located the power button, the volume buttons, and a multiuse play/pause/call button. Since the earcups are hexagonal instead of circular, you might have some issue getting the fit right over your ears, especially people with larger ears might have a problem. My ears are average size and we a fit so for people with larger ears, do watch out. Now let us talk about the sound quality. The noise cancellation is definitely not the best out there but it can give you quite some peace. The bass in V-MODA Crossfade headphones is awesome but it seems to leak into the mid-range frequency as well and very little in the treble. The midrange is not clear for music usage but if you aiming for bass heavy music you are at the right place. For phone calls and movies you won't notice any distortion and frankly, Bluetooth headsets should be used for that purpose only. The device lasts for 12 hours on Bluetooth and infinitely if you use the wired connection. 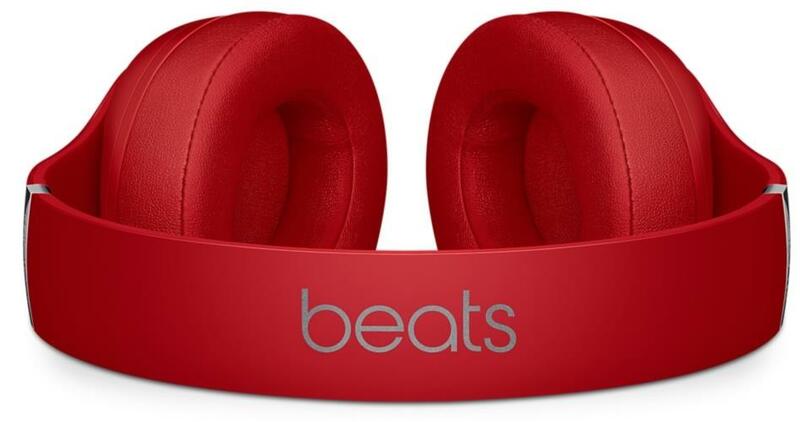 Beats Studio3 is an especially good product for people with Apple products and just a good product for people with Android and Windows systems. The build is plastic majorly but that doesn't mean that the headphones are bad. There was a time when Beats had a lot of negative customer feedback for selling poor plastic headphones just on the basis of their branding but that time has long gone and the present headphones are nothing less than a class themselves. They have a matte finish instead of a glossy one. Studio3 have an awesome noise cancellation capability which is achieved by its different head cushion design which instead of closing in on your head, close in on the borders of your ears providing passive noise attenuation. However, it will create a lot of sweat during the summer season. There are just 3 controls for increasing volume, decreasing volume and for pausing/skipping a track. When using an Apple product, the syncing is almost instant and you can control iTunes playlist from the headphones easily. However, with any other product, it seems like the headphone software is almost malfunctioning. It is not easy to connect to the PC Bluetooth without trying multiple times. It doesn't even support Qualcomm's AptX HD codec which is now supported by most other companies like Sony. The connection even after getting established breaks sometimes if the player you are using is not of Apple. Though Apple has now removed the headphone jacks from its latest phones, seems to have no problem in still using the good-old micro-USB for charging Studio3 headphones. The audio quality in a noisy environment is nothing I would complain about or when you are watching a movie or just taking a call. But sit in a quiet room with Studio3 headphone and listen to a song when the little harshness in the music starts to creep in which is not present in the recording. While the boom of the male voice sounds exquisite, the same boom seems to come in a female voice which destroys the quality of the song. The midrange sounds very low powered and the bass too doesn't seem powerful enough in the sub-range. Noise cancellation feature works above expectations and you can actually test that by listing to music in a windy area with noise cancellation on and off alternatively. 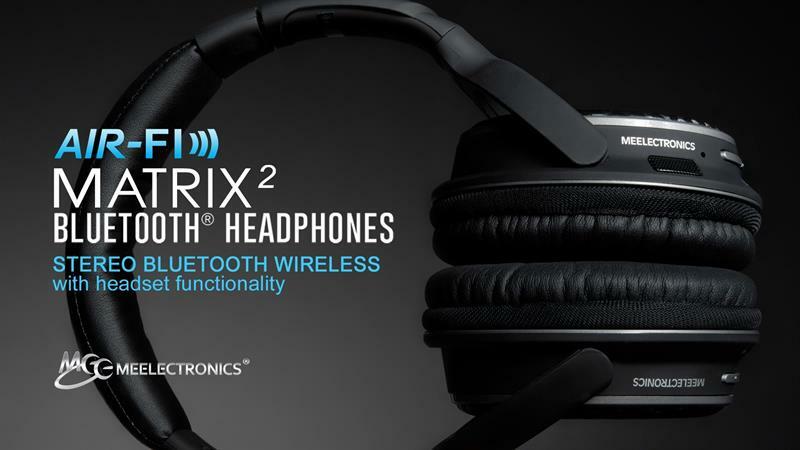 The cups of these headphones have ComfortTouch pads which allow for long time use without much discomfort. There is a steel band that is reinforcing the headset which allows for greater flexibility and you can easily adjust the headband to fit your size. On the left cup, you have 3 control, buttons, the 3.5mm audio jack and the microphone while the right cup has the micro-USB for charging and 3 more buttons for play/pause and for playing the next track. It provides 22 hours of continuous battery time and then you can use the AUX though the buttons won't work in with the battery dead. These headphones are a favorite of a lot of audiophiles and are highly suggested by us too. They are definitely not the best Bluetooth headphones out there but with the EQuing capability, you can customize the audio to your exact needs. Be it bass heavy or soothing treble, these headphones have the customizable feature that makes it stand out from the rest. While the wireless mode is itself quite perfect, to remove the little latency that might be seeping through you can make the headphone connection wired. 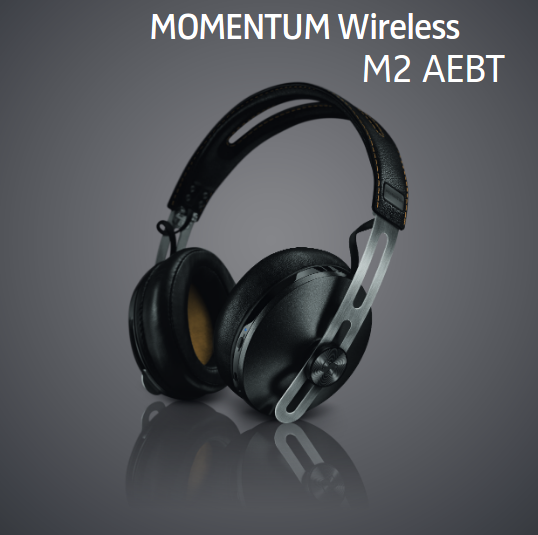 These headphones are flagship Bluetooth headphones from the house of Sennheiser. These are top mark headphones which are worth the pricey price tag they come with. In the built department the one main important thing that has changed in bigger cup sizes which were a big complaint in their previous version. Now the cups cover even the big ear sizes and give you no sored though will still cause sweat in summers. The cups, as well as the head band, is covered by leather with memory foam forming the inner layer in the cups. In the sound department, it seems to be made keeping bass loving people in mind with fixed mids and increased high bass and even more the lows. With the bass high I would definitely not recommend them for listening to classical music but for both mid and high-level music like hop-hop as well as heavy metal, these are the headphones to go for. If you have used the previous version then these are definitely not an upgrade you should go for, this version is more of a bug fix from the previous one. Skullcandy Hesh 2 is a little on the budget side of quality budget wireless headphones but where it goes low on price, quality too is sacrificed somewhere. Like all Skullcandy headphones, these look big and heavy though not really heavy in actual weight. It is made completely of plastic with the internal cushion too made of fake leather looking plastic. The cups are completely round which would for most of us not fit perfectly around the ears. Coming to audio, the call quality is not good great to talk about but it is not entirely useless too. Both the sides can make out what the other is saying though a little noise does get through. It provides 15 hours of playback time on the Bluetooth connection. 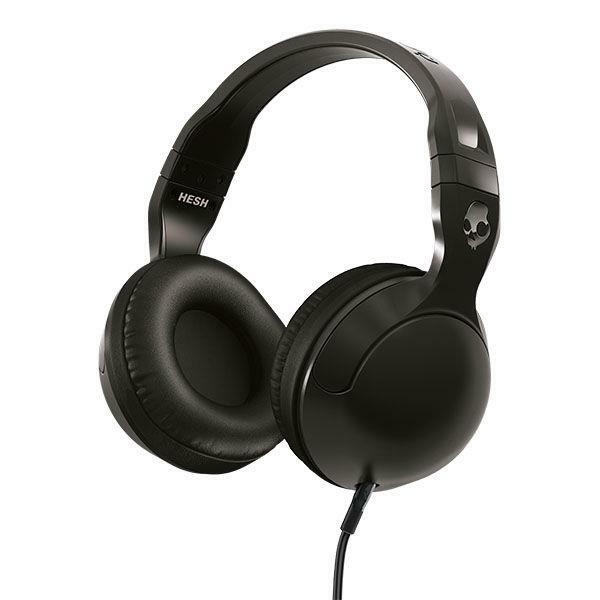 Skullcandy Hesh 2 is susceptible to interference from nearby electrical equipment and therefore will not give you a very good audio when it a room full of tech but otherwise it mostly performs satisfactorily. In the midrange, the performance goes below average and worse with treble. Bass quality is good but sounds congested. Suggested only if all above don't suit your range.